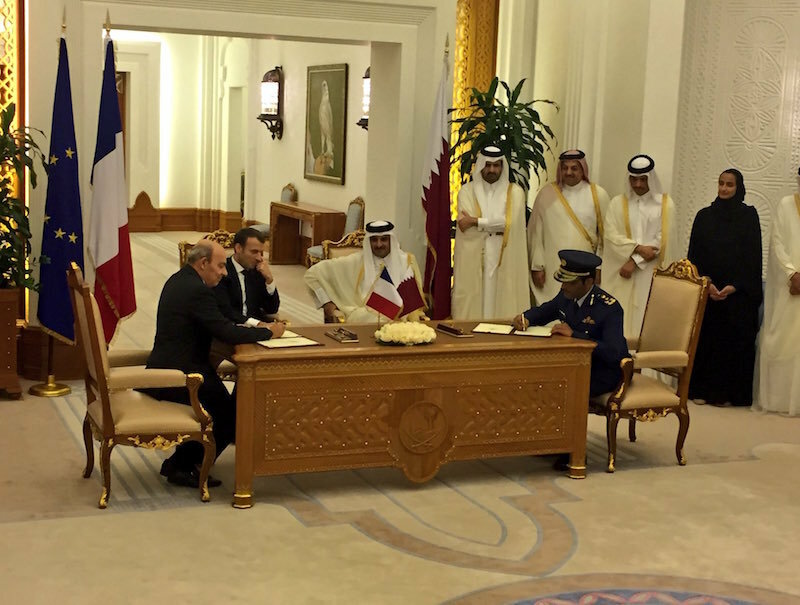 The Minister of the Armed Forces Florence Parly welcomes the will expressed by Qatar, on the occasion of the visit by the President of the French Republic, to acquire additional Rafales. She also welcomes the signing of a letter of intent to acquire the VBCI armored vehicles, which had been named winners of a competition organized by Qatar. At the end of November, Florence Parly invited her counterpart from Qatar to exchange details on these subjects, which have also been the subject of intense negotiations in recent weeks with Dassault Aviation and Nexter. The Minister was also able to discuss other arms issues and to prepare a Letter of Intent for an agreement on the status of French forces in Qatar and Qatar in France. All these subjects were reviewed during a Dec. 6 telephone conversation, at the request of the Minister, to reach an agreement in time for the President’s visit. Qatar's choice of French industry reflects both the quality of our cooperation and the technological excellence of our companies. Exports are vital to our defense industry and the equipment of our armed forces. They contribute to the strategic autonomy and the influence of our country. Florence Parly remains fully committed alongside the President of the Republic to ensure the success of French exports in the field of armaments. SAINT-CLOUD, France --- In the presence of the President of the French Republic, Mr. Emmanuel Macron, and his Highness Sheikh Tamim bin Hamad Al Thani, the Qatar Armed Forces and Dassault Aviation signed an agreement on future cooperation and the exercise of an option for 12 Rafale. “This new agreement is built around the special relationship that exists between the two countries and the shared determination, by the Defense Ministry of Qatar and Dassault Aviation, to move forwards together”, declared Eric Trappier, Chairman and CEO of Dassault Aviation.